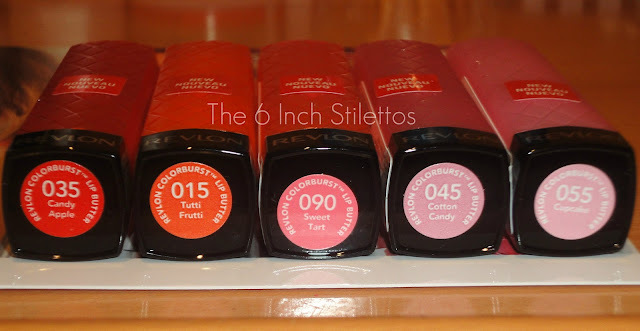 Sneak Peek: Revlon ColourBurst Lip Butters!!! You've read all the blog posts. The launch date is inching closer. 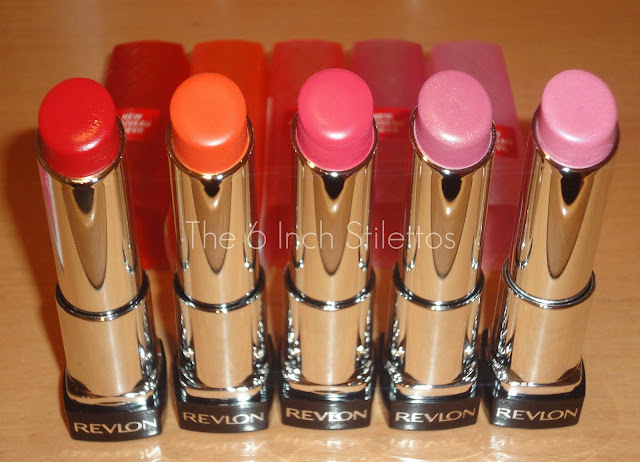 The REVLON COLOURBURST LIP BUTTER frenzy is here!!! Okay so that was a bit over the top but I don't care. I was kindly sent 5 of the new lip butters to get up on here before the pre-sale launch tomorrow but remember that there are FOURTEEN shades in total so if none of these colours grab your attention then I'm sure one of the others will. Shaped like a lipstick. Housed in the packaging of a lipstick. Looks like a lipstick. Acts like a balm?! Before I even swatched any of these I knew that Sweet Tart was going to be my favourite - I'm a sucker for a gorgeous pink number! I am impressed with these badboys because not only do they look good but they feel super moisturising on the lips and the colour payoff is amazing. 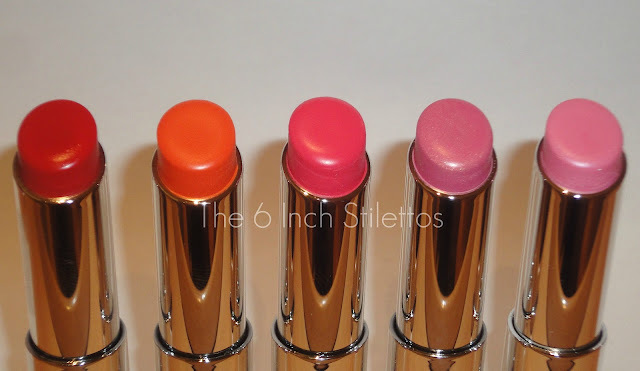 When I applied these on my lips there was no sticky feeling, not even after 2 hours, and my lips didn't once feel like they were drying out or anything. The colours are extremely buildable so if you feel for a stronger red lip then just add another layer or two, it is entirely up to you on how you wear it. Personally, I never have the patience or time to faff about with a lipstick and lip liner in the morning because I'm usually running late but with these ColourBurst Lip Butters I know that I won't have to worry too much because they're just like a lip balm, but with better packaging. I definitely recommend picking up some of these gorgeous products because they will come in handy and will probably last you a while. Out of the five shades I have, I recommend Candy Apple, Sweet Tart and Cotton Candy but don't let me stop you from picking up all fourteen shades... Something tells me that I'll be picking them up too! Revlon ColourBurst Lip Butters are going on pre-sale on Boots.com tomorrow (Friday 9th March) and if you've signed up to the waiting list then you'll receive an email when they do. They will also be available at Boots and Superdrug stores nationwide from Monday 19th March 2012, priced at £7.99 each. So girls... What do you think?! 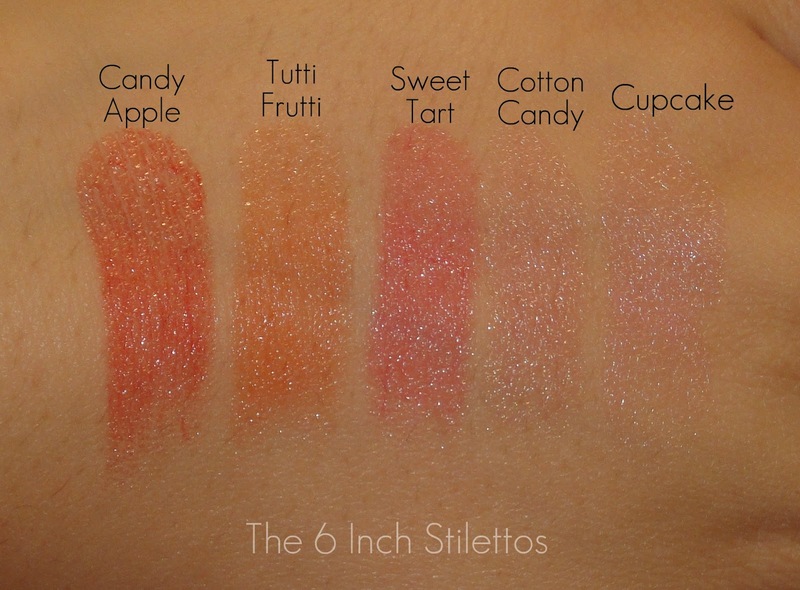 Candy Apple and Tutti Frutti need to be mine!! These do look lovely - I just can't believe there's a waiting list for a Revlon lipbalm! I need these in my life! Which is your favorite? I want these soo bad!! i have it in peach parfait, like it but feels it's too much for daily use because of the shimmer. I have Peach Parfait, Sweet Tart, Candy Apple, Berry Smoothie, Strawberry Shortcake, Pink Truffle and Red Velvet. Sweet Tart is my favourite! It is just beautiful! I love the look of each of these colours - can't pick a fav! I'm still patiently waiting for these to be released where I live, hopefully we'll get all of these shades and more. Oh I really really want to try these!! Love these. I am enjoying wearing mine but I had to throw tutti frutti away because everytime I wore it (claiming that orange was 'in') everyone was like 'talita NO!!' I wish they would come up with some warmer light pinks. Something warmer than cupcake and strawberry shortcake but equally as pastel!